Fancy yourself as a bit of an adrenaline junkie? Then sign up to our Give It A Go trip to Go Ape! 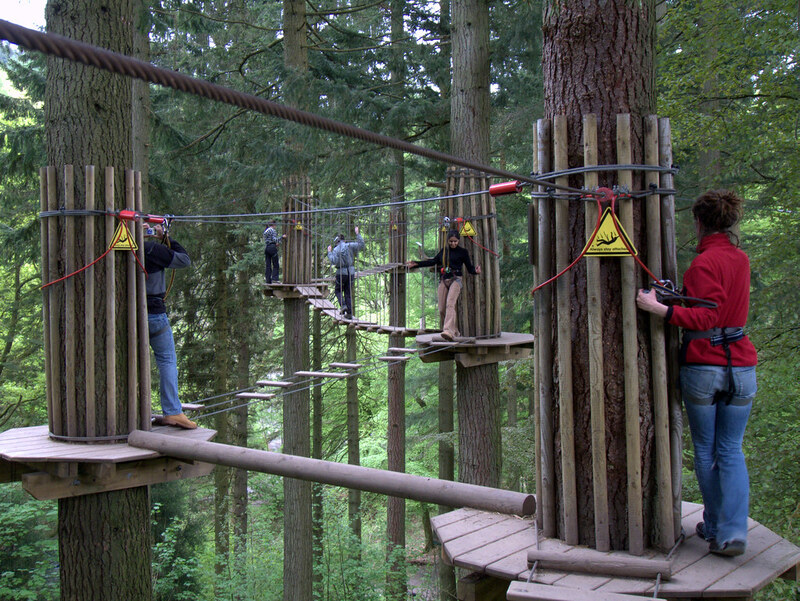 Trek through the treetops, fly across the zip wires and make some amazing memories, all in the superb scenery of Delamere forest! Delamere Forest is the largest wooded area in Cheshire, stretching out across over 950 hectares of woodland, wetland and open grassland. Long zip wires and superb scenery from the forest canopy of Blakemere Moss makes this a really exciting trek through the tree-tops. Located near the town of Frodsham, there is plenty to see as you let off steam, escape the crowds and find peace in the heart of the forest for a whole day out. This event will take place on Saturday 21st April so remember to save the date as tickets are exclusively for Halls Students at just £13. On sale now from the Guild!